When updating a home, there are many decisions to be made. But when it comes to the restoration of a majestic 130-year-old historic home, many of the decisions become more complex. Do you re-create a literal translation of the original design? Do you abandon the original architecture to incorporate all of today’s modern aesthetics and conveniences? Why not do BOTH? The 14 foot high ceiling and stately wood crown molding in this dining room meant that the major architectural feature to enhance was up. Most of the surfaces read as solid. Introducing pattern in this space was our second agenda. This ceiling contained many registers, vents, and recessed light fixtures that are every designer’s nemesis. 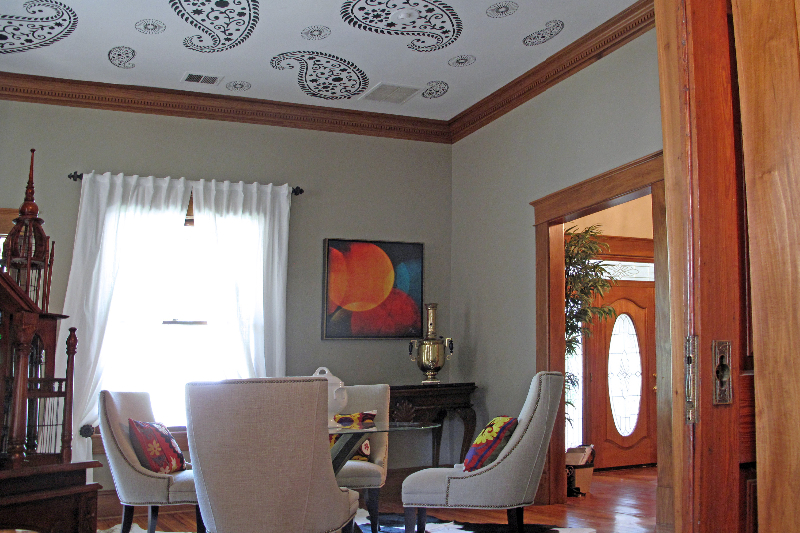 The next hidden agenda was to camouflage these undesirable fixtures by painting a bold, random design with stencils. Multiple stencil overlay patterns were applied with a thoughtful strategy about their placement. 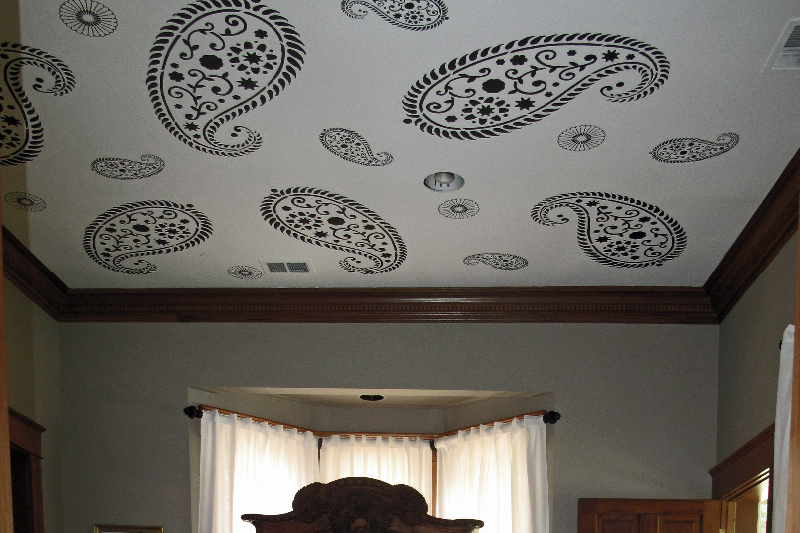 To give you some perspective on the scale, the largest paisley shape is 4 feet long by 3 feet wide! Their size alone is enough to overpower the hardware. The drama of classic black and white is not only timeless, but allows the vents to become a part of the background. This also affords flexibility for the color scheme by adding art and accessories of any color. 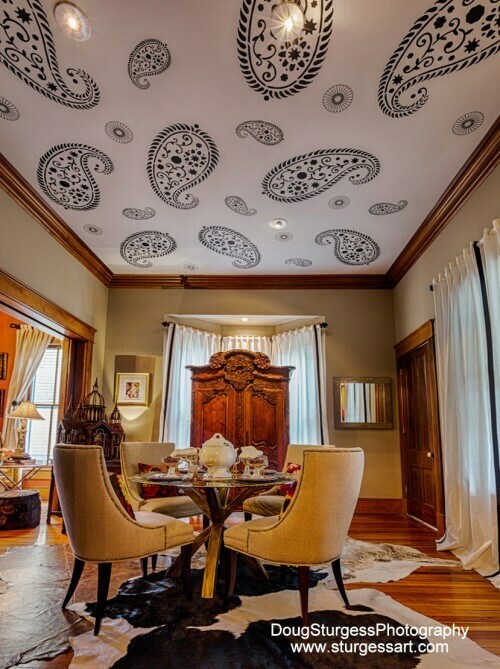 This dining room gives an unexpected twist to the concept of updating a historical home. The architectural details remain intact. 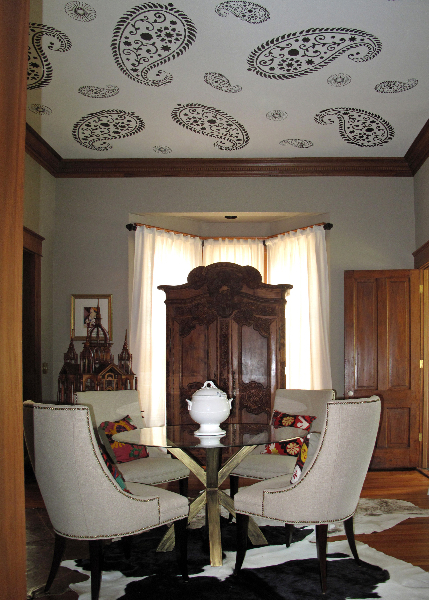 Embellishing this ceiling with the innovative use of pattern and color is a clever design solution which solves our hidden agendas. This is where innovative artistry meets architecture. We welcome your feedback, so please leave your comments below. 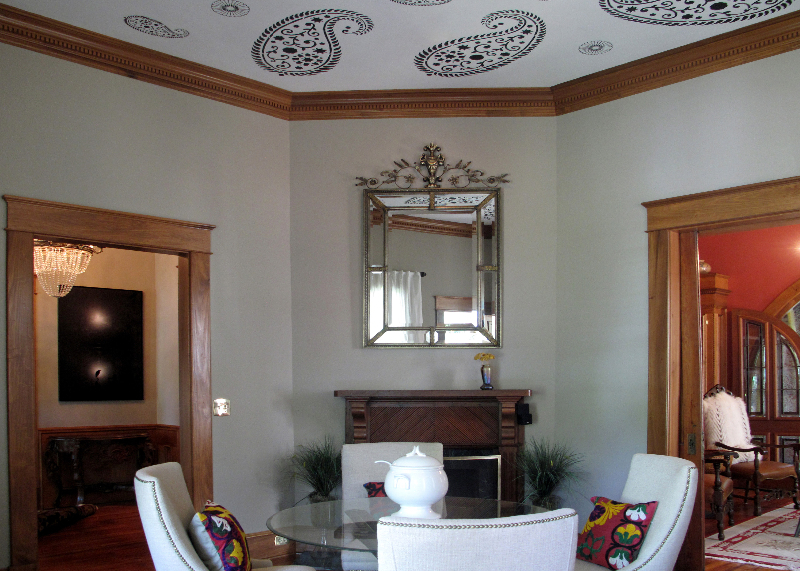 See more of this historical restoration on Houzz. 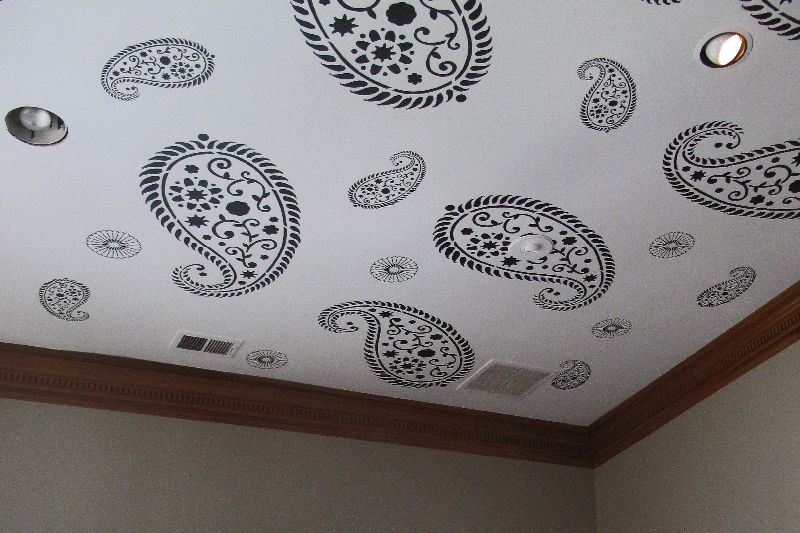 This ceiling is wonderful. Thanks for sharing it.